Jose Morais insists his Barnsley side will continue working hard during the international break to turn things around. The coaching staff have nine days to drill the players ahead of their Good Friday hosting of ex-boss Lee Johnson and his Bristol City side. Johnson left with the club in the relegation zone during the 2015/16 campaign - before Paul Heckingbottom steered the club back to the Championship via the play-offs. Morais said: “We have been working hard to improve the confidence in the side on many levels. “What we will continue to do is improve the quality of the game and then improve the team to be more efficient. “In front of goal we’ve been very poor and we have to take those chances. “We’ve seen Oli McBurnie scoring recently, but some players are getting into scoring situations and not scoring. Barnsley are appealing for help to find a stolen FA Cup winners’ medal. The medal in question is Philip Wright Bratley’s, who played a part in the famous 1912 FA Cup side - the only time the club have won the illustrious competition. It has been passed down as a family heirloom over the years and was stolen from his 82-year-old grandson. The family are desperate to be reunited with one of their most treasured possessions, which is irreplaceable. 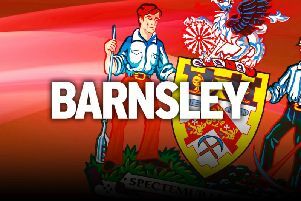 A club statement read: “Barnsley fans and the wider footballing community are asked to come together in search of a 1912 FA Cup winners medal which has been stolen from the 82-year-old grandson of Philip Wright Bratley. “Philip was part of the famous Barnsley side who won the 1912 FA Cup. “Anyone with information about its whereabouts is urged to call South Yorkshire Police on 101, quoting incident number 849 of March 17, 2018.